Once just a quiet spot on the easternmost tip of the Dominican Republic, the towns of Punta Cana and Bávaro have exploded into a resort zone of all-inclusive properties that cater to honeymooners, families and spring breakers looking for sports by day and exciting nightlife after the sun goes down. In a word, there’s a lot to do here. 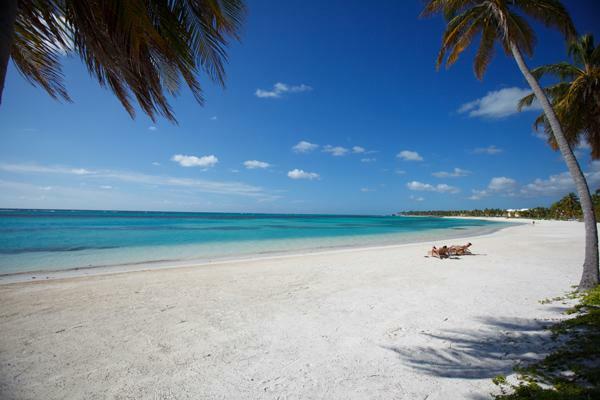 Punta Cana and Bávaro sit at either end of a long stretch of coconut palm-lined sand. The sugar-white beaches are considered to be the best in the country; the natural beauty and clear waters have earned the area the reputation as a true tropical playground. Together, the two towns and the resorts between form the tourist region known as Punta Cana. Selling paradise in a place like this is the easy part of the equation. 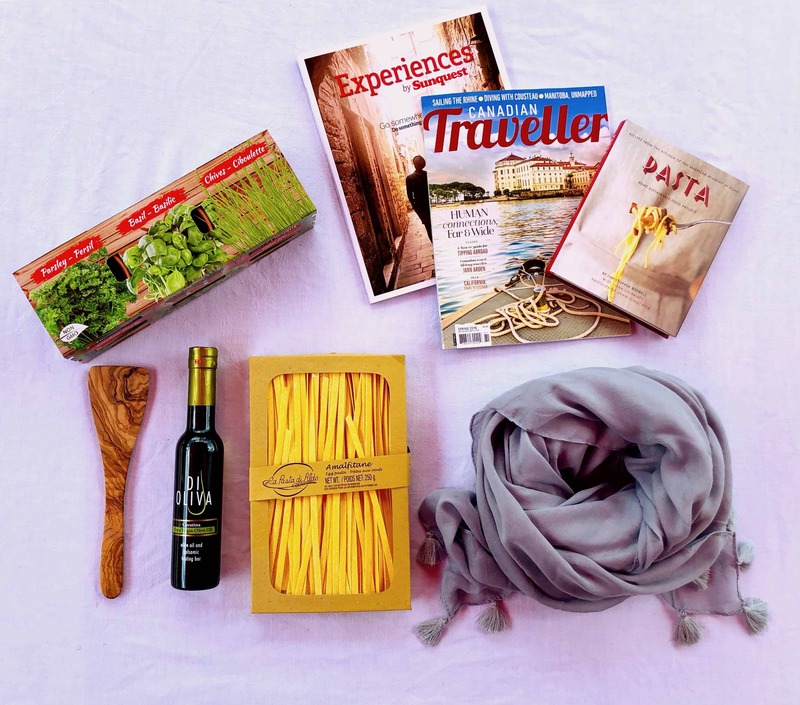 With a little extra knowledge it’s possible to recommend the perfect activity fit for every traveller. Punta Cana is home to many luxury world-class resorts that rate service and amenities as keys to the ultimate vacation experience. 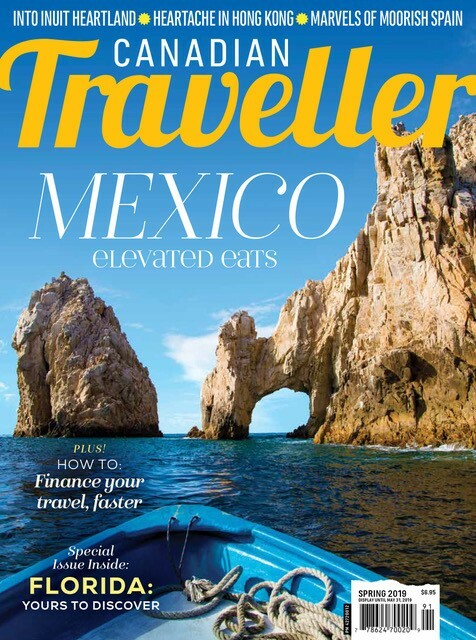 This is especially true when choosing a spot for a destination wedding or honeymoon. Many properties offer wedding and free honeymoon packages. Some welcome guests 18 years of age and older only. Luxury services, spa, casino, boutique shopping and golf are some of the more popular amenities at adults-only resorts. Relaxation is the name of the game on a catamaran cruise along the Punta Cana coastline. Different cruises have different themes: a sunset cruise or a snorkelling expedition; many are billed as “party boats” for the open bar and non-stop music on board. Mile for mile, the coastline resorts of Punta Cana offer some of the most concentrated family-friendly settings and activities on the island. Many all-inclusive properties offer specials where kids “stay and eat free.” Playgrounds, Kids’ Clubs, Teen Clubs, children’s pools and babysitting services translate to a happier time for all family members. Getting up close and personal with the tropical wildlife is a favourite vacation activity for both adults and children. 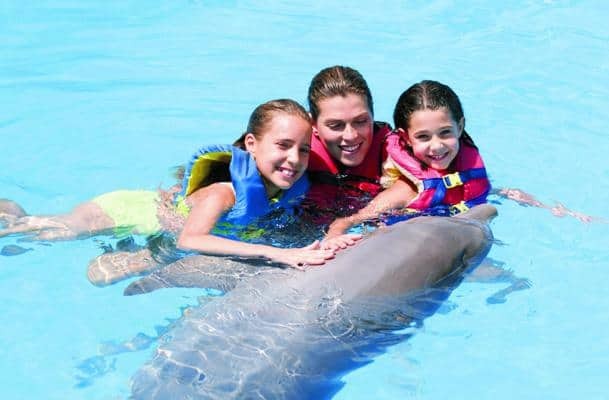 Animal Adventure Park (near Cabeza de Toro beach) is designed for the younger set – encounters with sea lions, sharks, stingrays, parrots and turtles. The Marinarium Marine Park offers half-day cruises on a glassbottom catamaran, visits to a coral reef area and the chance to snorkel with stingrays and nurse sharks. Bavaro Runners operates a exciting zip-lining adventure (for age six and over) where kids (and their parents) can screw up their courage and step up to challenge of “flying” through the air from one canopy platform to the next through the lush, tropical greenery of a subtropical forest. All major resort hotels offer jeep safari tours that explore the countryside outside of the resort zone. Trips head to jungle terrain, a sugarcane plantation and remote beaches, with stops at small villages (including perusing the shelves at a local grocery store and stopping for a cup of home-brewed Dominican coffee). 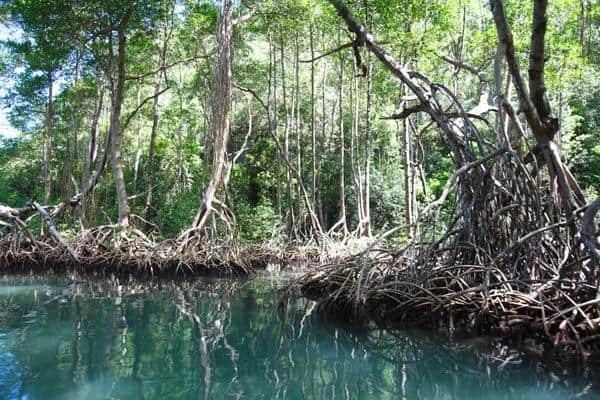 Kick off an ecotour with a visit to the Indigenous Eyes Ecological Park and Reserve, 600 protected hectares of lush, verdant, subtropical forest known for its lagoon swims, biodiversity, guided and self-guided tours. The park is a natural refuge for local flora, insects and wildlife. A new Segway off-road ecotour is transforming beachfront exploration. The electric-powered, two-wheel self-balancing vehicle has been designed to cover all terrains – from sandy beach to rougher off-road tracks. 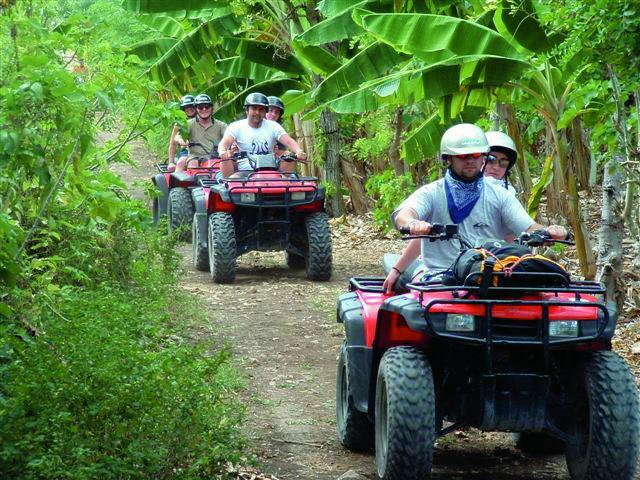 Dominican Republic Tourism BoardPunta Cana serves as a home base for ecological excursions to nearby attractions that are keeping sustainability at the forefront. A daylong tour to Playa Limón near Miches is definitely off the beaten track, but adventuresome trekkers are rewarded with unspoiled beaches lined with coconut groves, waterfalls, birdwatching and a sense of peace. In the springtime, turtles use the beach at Playa Limón to come ashore and nest. Full day excursions depart from Punta Cana to Parque Nacional Los Haitises, a national reserve of mangroves, estuaries, bays and coves. 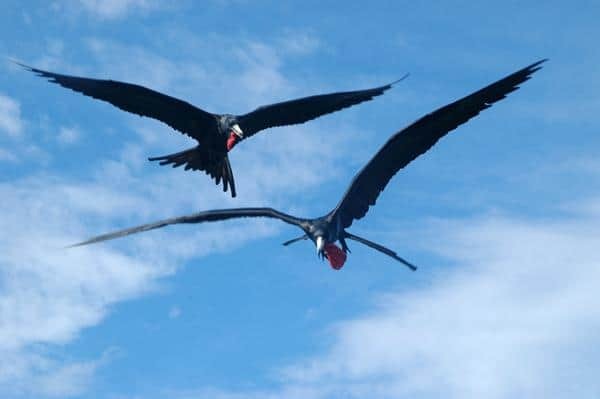 The national reserve is memorable for its rugged topography, 700 species of plants that thrive in the subtropical forest, 100 species of birds (including the rare Hispaniolan parrot) and the tortoises and manatees that live in the mangrove system. The extensive limestone cave system is a bonanza for budding archaeologists who will be wowed by the pictographs and petroglyphs left by the ancient Taíno tribe. The most popular excursion taken by visitors to Punta Cana is by boat to the pristine Isla Saona, a small, undeveloped island with gorgeous beaches that are part of the protected Parque Nacional del Este. The island sits at the juncture of the Atlantic Ocean and the Caribbean Sea, making for dramatic scenery and rich biodiversity. The island’s lagoons and mangroves are breeding and nesting ground for flamingos, pelicans and parrots. 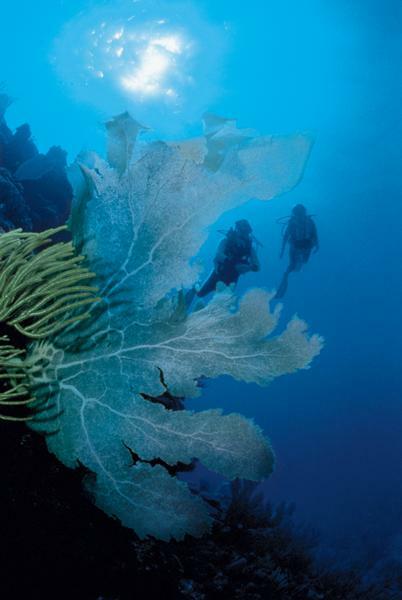 The coral reefs that fringe the island are popular diving and snorkelling sites. Sports fishermen know Punta Cana by reputation: from March to July, white marlin arrive in large numbers just a few kilometres offshore; waters are calmer through the winter months when fishing for barracuda, mahi-mahi and Atlantic sailfish move into full gear. Dominican Republic Tourism BoardNear perfect year-round weather and a large number of well-groomed courses has positioned Punta Cana as one of the most popular golf destinations in the Caribbean. Golf’s most dedicated players can choose from a dozen world-class, 18-hole courses, including layouts designed by Jack Nicklaus, Pete B. Dye and Tom Fazio. 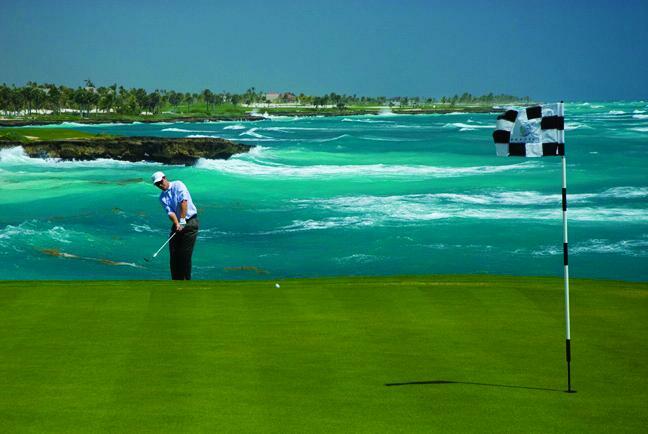 The La Cana Golf Course (a Pete B. Dye design with 14 oceanview holes) at the luxury PUNTACANA Resort was named “the number one course in the Caribbean” by Golf Magazine. Built on the site of an old coconut plantation, the challenging Cocotal Golf Course (designed by six-time Spanish champion Jose “Pepe” Gancedo) follows the natural ups and downs of the gently rolling landscape. Dramatic cliffs and crashing ocean Nolitours & Transit Holidayswaves provide the backdrop at the Faldo Legacy course at the Roko Ki Golf Club. The strategically challenging, 18-hole course includes one of the most dramatic golf holes in the Caribbean – the spectacular 18th hole named Los Dos Rezos (the Two Prayers) where the play is over two ocean inlets. Numerous golf publications have named Faldo Legacy as one of the top courses in the world.